Often, housing in San Diego is non-existent. There simply is no availability or the waitlist is nearly 2 years or more. 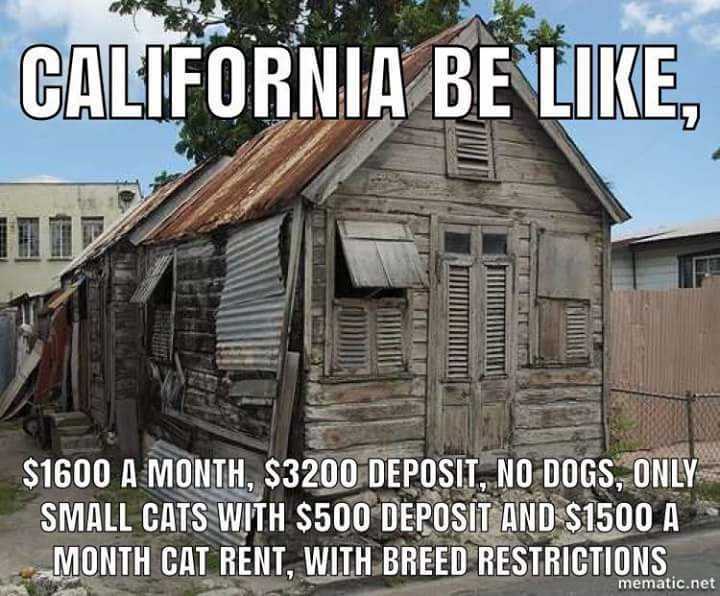 And if there is “Open Available Housing” it is far, too expensive or, well, you see the meme below. Day-in and day-out I call, email, call from a different number, block my number and call, arrive unannounced, text, text again, leave voicemails and wait. Patiently wait. Sometimes for days — even weeks. Sometimes, to my delight, I receive immediate responses, but normally they begin with a “ —No”. But I am persistent and patient—and quite possibly suffer from a romantic’s optimism. My title is what some may call a miracle worker, a genie or—perhaps—a superhero. As a Housing Specialist for Father Joe’s Villages, my primary job is to locate viable housing for my clients. On the surface, my position could be viewed as a salesman; I go out and market our comprehensive program to this ever-increasing, highly competitive San Diego Housing Market. Yet, apart from all this, I believe I am first and foremost an advocate. This responsibility, by default, means I must mentor as well as provide a voice to those without one. More often than not, this voice also deems itself an educator that begins distinctly after that “—No” response. Yes, my clients are homeless. However, someone who is “homeless” is identified as one that does not have a place to call home. It does not mean an abuser of alcohol or drugs; a person who rigs social-systems; a liar; or a thief. Perhaps, if anything, it means a bump in the road down a long pathway. Or, an uncertain, unexpected divergence. Yes, I believe it is a whole lot of uncertainty and a work in progress. Thankfully, there are other superheroes out there that I stumble upon by happy accident: Those valiant landlords that choose to go against status-quo (see the meme above) and offer a decent, respectable home at a reasonable price. And sometimes, they extend their arms and helping hands further by giving in abundance. greatly reduce their rental costs. include various utilities in the rental amount. moved mountains of priorities and accommodate by just listening. and make their fellow neighbors feel welcome. I cannot say it is always like this. There are times that (despite all the hours, coordination, negotiations and explanations, the to’s and fro’s and back again) it simply does not work out. Yet, despite all of this, I am well aware that most superheroes are still in hiding. They wait for that signal, that tug, that pull —or maybe that simple, patient phone call. Here is a picture of myself, a super landlord, and a wonderful, deserving mother. This landlord graciously accommodated a quick-turn-around move-in. She painted, lowered the rent significantly and even found time to garden and spruce up the backyard for the family. You Superheros are out there. We are always looking for new landlord partnerships. 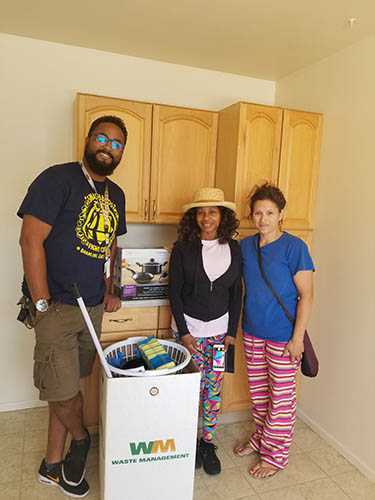 If you would like to help end homelessness in San Diego as a landlord partner, please email FJVHousingPrograms@neighbor.org.